Many of these old traditions have echoed into modern customs, but other have been lost to time. Let’s review some of these lost holiday customs. Many traditions around the home in Colonial America served more than a ritualistic purpose; they were practical as well. Before the days of basic hygiene, colonists fragranced their homes for the holidays with rose petals and sprigs of lavender. Not only was this home decor aesthetically-pleasing, it was also functional as it covered up any odors of the house. 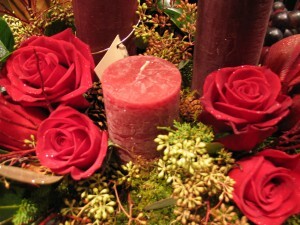 For a contemporary take, you can forgo the fragrance and add silk roses to your holiday decor. The Scottish New Year, Hogmanay, carries the old tradition of “redding the house.” On the last night of the year, the family cleans the house and focuses on the fireplace. They then clear out the ashes and read them, similar to tea leaves, to see if they will have a fortunate new year. Krampus is almost the German evil twin of Santa Claus. Where Santa comes brings joy and merriment for good children, Krampus was used to scare kids into good behavior. Krampus is essentially a half-demon, half-goatman brandishing a bushel of sticks whipping misbehaving children into shape. 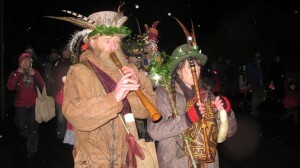 In the United Kingdom, the custom of wassailing consisted of the sharing of cider. People would make a big pot of cider or mulled wine, and go to their neighbors houses door-to-door sharing or selling the beverages. Many still do it today with families and incorporate caroling into the festivities. Many scholars claim that the way we celebrate Christmas today is in part thanks to the ancient Roman holiday of Saturnalia. One part of the celebration included a role reversal for family members, which meant the kids become the adults and vice versa. People still honor this tradition at Christmas parties by delegating the role of “party planner” or “host” to the youngest child. Halloween Part Deux came around with the British Victorian tradition of mumming. Party-goers would don disguises, or even switch identities with other guests to go and play pranks on unsuspecting people. It was all in good fun as part of the holiday party. In Italy, the one who hands out the gifts is an old woman named La Befana on January 5th, locally referred to as Epiphany Eve. She is a witch that flies to each child’s house leaving them candies and food gifts if they have been good this year, or sticks and coal if they have been bad. 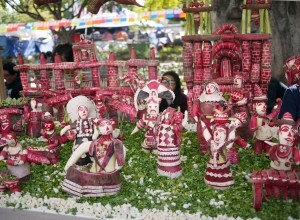 One particularly unique holiday tradition is the Night of the Radishes held in Oaxaca, Mexico. A century ago, local merchants began carving little people and designs out of the shiny, red skin of the radish to attract customers. Today, the custom continues in carvings of nativity scenes and mayan iconography, along with flora and fauna. The tradition of decorating Christmas trees with spiderwebs harkens back to a Ukrainian folktale. 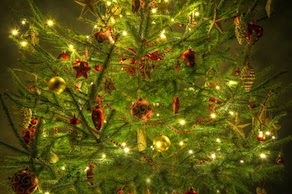 A mother was too poor to decorate her family’s Christmas tree and at night she cried worrying about it. While everyone was asleep, the spiders who heard the mother’s cries, spun beautiful silken thread throughout the tree. When the family woke up, they saw the tree glittering and shining in the sunlight and were grateful to the helpful spiders. 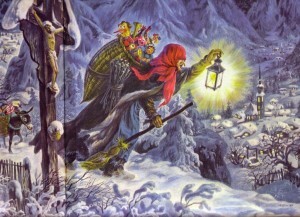 In Norwegian mythology, the night before Christmas is believed to coincide with the arrival of witches and evil spirits who ride brooms in order to seek out new victims. 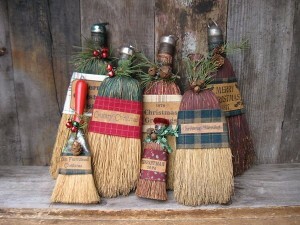 To prevent anyone getting ahold of their brooms, Norwegians began hiding them around the house and only taking out once the holiday has passed.